Liverpool fans have seen their hopes of re-signing Javier Mascherano dashed by news of his confirmed move to China. The Argentine will leave Barcelona this month after eight seasons at the Nou Camp, in which time he has won 18 trophies and played 334 games. Mascherano will join Chinese Super League club Hebei China Fortune FC on 26 January, an official Barcelona club statement has confirmed. The agreement puts rumours to bed linking the 33-year-old to a return to Anfield, where he made 139 appearances in his spell as a Red between 2007 and 2010. He emerged as a popular figure during his time on Merseyside, impressing fans with his fierce approach as an enforcer in Liverpool’s star-studded midfield. 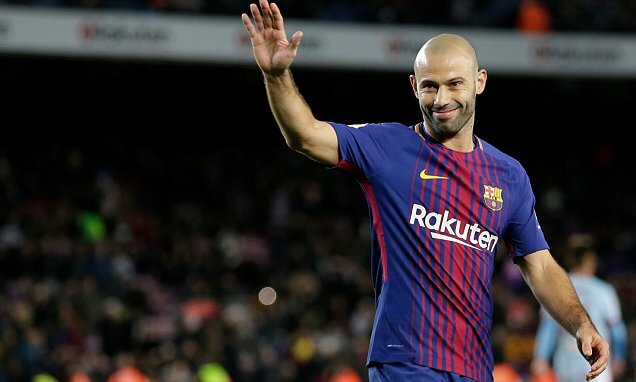 Since moving to Spain, Mascherano has evolved into a viable centre-back option courtesy of his defensive capabilities and well-suited ability to play out from the back. With doubts continuing to loom over Liverpool’s defensive frailties, a number of supporters had encouraged an unlikely move to bolster Jurgen Klopp’s options with the veteran’s Premier League experience. That hasn’t been the case, however, with Mascherano deciding to enjoy potentially the final couple of years of his career in an arguably more laid back and pressure-free environment- not to mention one where a deserved big pay day inevitably awaits.